home business | Sophisticated Diva ~ A.K.A. Along came Polly! Miche has a lucrative new compensation plan! Learn more about becoming a Miche representative today! With Miche Bag, you really can have it all: a rewarding and fun career, and the time you want with your family. There’s no limit to what you can do! When you become a Miche Bag Independent Sales Representative you are in control of your own destiny – and you do it with panache and style. Flexible: You’ll never have to sacrifice going to soccer games again. Independent: You are your own boss. Always. Secure: Miche Bag is a well-established, international business. You are in good hands! Peace of Mind: Earning extra money is a very good thing… you’ll sleep better at night. Rewarding: You’ll help hundreds of happy women fall in love with their purses again. Yay! Chic: We are always on the cutting-edge of style. Be a part of something beautiful. Simple: Don’t worry… we help and support you every step of the way! Fun: Because earning a great living doesn’t have to be boring. Still have questions about the Miche opportunity?? CLICK HERE for commonly asked questions and answers! If you’d like to hear more about the Miche compensation plan — or just want to talk to a real person–feel free to contact me (Polly) anytime…..I can be reached at 815-721-5549 or sdhmhandbags@aol.com, and will send you more information at your request! I’m an Executive Director with a growing team throughout the United States, and offer support and a team approach to training ~ Miche is the single best business decision I’ve ever made… I look forward to helping you reach your business goals! Our fabulous new starter kit is ready to order, and the new compensation plan is simply LUCRATIVE! Not to mention all the perks of meeting your quick start goals!! Miche Black Friday Cyber Monday weekend updates!!! The discounted bundles are going fast! So are the individual shells for $7 and $10! Many classic shells are only $7.00 each and many Prima shells are only $10.00 each. Much to my surprise, these assortments include highly demanded retired shells, Hostess Exclusive shells, and current full-price shells all going for $7.00 to $10.00. UNBELEIVABLE! They are going FAST, but don’t despair, rumor has it more items will be added throughout the weekend, so make sure to check back on my MICHE WEBSITE regularly, so you don’t miss a thing!! Shop Miche’s Cyber Weekend 2012 HERE! Miche will be posting new deals throughout the weekend. Check back often! Miche Christmas gift guide for men~items starting at $9.95! You drew a womans name from the basket again—hoping for a male co-worker or relative to be your gift recipient–because it’s just easier to buy for a man. Panic sets in, and you hope nobody can detect those small beads of sweat on your brow. Now what? Gift giving to women is so personal, in a world of handbags, jewelry, cosmetics and “fluff” a man often finds himself confused and disoriented. What’s the best gift for the gal who has everything? What can I get her that’s unique and thoughtful? What the heck do women want anyhow? Let me share–it’s not a frying pan. It’s not the designer knock off perfume on sale at the drug store. It’s your nightmare—but there is a solution! Jewelry is definitely out if you’re buying for the office temp-that might give her the wrong idea-it’s awkward. You don’t buy a casual acquaintance a diamond necklace, So what’s a guy to do? Research shows that the top two most sought after purchases for women, by women-are shoes, and handbags. You can hardly know her shoe size, and women are “funny” about their shoes! Trust me on this men, the best thing to do is get her something she’ll use every day-something that keeps on giving. Something she can proudly display~Women love a handbag! But what kind? What color? Does she like snakeskin? Is she the animal print type? You’d be surprised! What’s a fella to do? Get her the only handbag she’ll ever need—the one she’ll never change again…. You see, women love handbags—and something as unique as the Miche bag is a safe bet for a great gift, because it has interchanging outer shells that complete her look, regardless of what she’s wearing. She can continue using her gift as she builds her own collection of Miche bag shells–even the handles can be changed~she’ll remember who gave her this gift! She can choose shells for her handbag to match whatever she wears, or accessorize her outfit, reflect her personality, or celebrate a holiday! We have dozens (okay, I’m playing it down–we have HUNDREDS) of possibilities for her enjoyment and selection—so you simply can’t go wrong! Choose a Base miche bag (this is what the shell goes on) and a couple of shells that you think she may like…..if you don’t know, black or brown shades are a great start to begin a collection. When she realizes that she has the perfect handbag–you can bet she’ll thank you later. Shopping for someone a bit closer? Wife, Fiancee??? Girlfriend? In my experience, your lady would LOVE a surprise, with a surprise tucked inside!!! From a bottle of wine, to concert tickets, tickets for a fabulous cruise or vacation location! You can even propose with a ring inside! The possibilities are endless and the package can reach the limits of your wildest dreams! We also have MICHE ACCESSORIES starting at $9.95, including Miche wristlets, coin purses, charmers, wallets, and additional handles–these make great stocking stuffers!! Order early for prompt delivery JUST in time for holiday gift giving!! For best results, your gift should be ordered from my MICHE WEBSITE PRIOR to December 10th, to avoid additional shipping fees for expedited shipping. Don’t want to be “caught” by the guys while shopping? Head on over to my WEBSITE and shop privately and securely–your gift can be shipped to your home or office. Miche holiday gift giving ideas~ your guide for Christmas Miche!! Visit me at https://diva.miche.com for more fabulous Miche~~ your gift giving has never been so easy!! We have over a DOZEN possibilities to choose from! 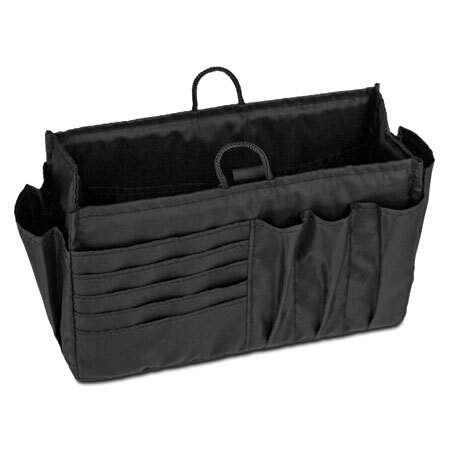 Miche has several items under $30.00 to help you give more, and spend less! Consider our SALE CATEGORY where you’ll find dozens of prima and classic shells, starting at $12.45! Particularly helpful if your recipient already has a Miche base! 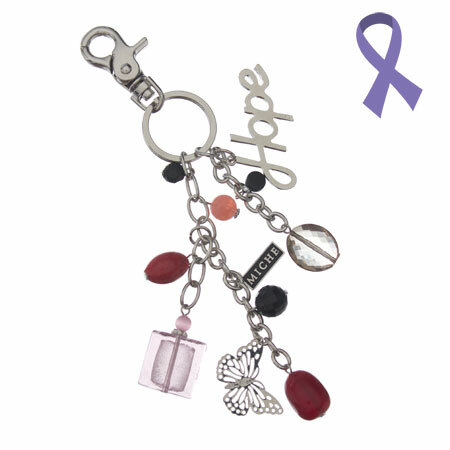 Lauren is just a sample of the product you’ll find HERE AND there are handles on sale as well! Wallets and Wristlets (NEW!!!) ARE also available HERE Get her a “go anywhere” wristlet, perfect for date night or traveling light! There are two wristlets to choose from listed at $24.95, and wallets at $29.95. Not to mention, ALL classic shells (standard or premium) are always less than 29.95 (with the exception of luxe shells), any time is a good time to choose a new classic shell! Our entire collection of classic Miche shells can be viewed HERE! Looking for great stocking stuffers? Check out the previous post on this blog to see some fabulous deals under $15.00! Shop early to avoid disappointment, as some items are retiring soon! 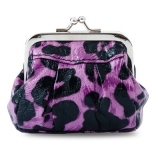 Miche Holiday gifts under $14.95!! Christmas is just around the corner~are you looking for the perfect gift for the Miche lover in your life? 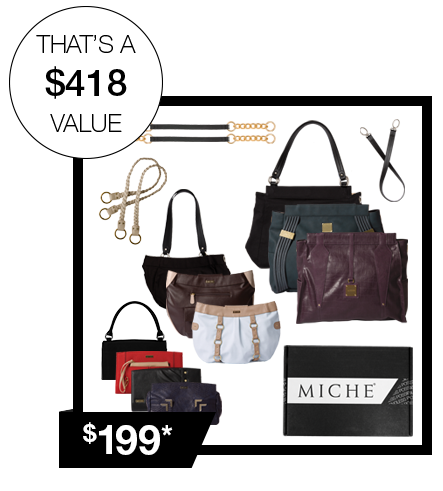 Miche has a fabulous product line of items priced lower than $15.00 that will cause you to rejoice! Visit https://diva.miche.com for more information and more Miche Winter shells~ your business is very much appreciated! November 1st starts a NEW PROMOTION! This one is a “rep only” order, and you must call me at 815-721-5549 or attend a party to get this special deal! With the purchase of any Miche classic, demi, or prima “get started bundle” (includes a base with two shells) you can get a FREE MICHE STELLA hip bag! This special promotion runs through Nov 25th, or until supplies are depleted! Feel free to BROWSE HERE, but the order must be phoned in to qualify for the special FREE hip bag!